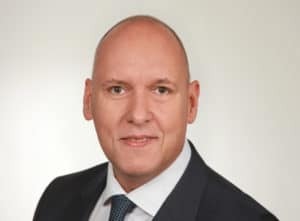 Marcus Christopher Schulz is managing director of DELTACON Executive Search & Recruiting GmbH and runs the office in Vienna. He is responsible for the Competence Center "Consumer Electronics, Furniture and Furnishing". This Competence Center covers the areas of brown and white goods, small appliances and photography, IT hardware, accessories and lighting as well as all areas of furniture and furnishing industry. Here he supports trading- and industrial companies in the analysis, search and selection of executives and specialists in business management, sales and marketing, product development as well as finance and operations. The quotations "Take your pleasures seriously" and "Be a good host" clearly describe his idea of ​​service. Marcus Christopher Schulz has more than 30 years of professional experience, a majority of it in senior positions in consumer electronics, with a focus on international sales, key account management and sales management. As General Manager Sales Consumer and member of the board, he was responsible for sales policy, sales and costs for many years. He gained in-depth expertise in the implementation of sales strategies through further positions as Managing and Sales Director - each in intensive exchange with the international corporate headquarters. Before founding the personnel consultancy DELTACON Executive Search & Recruiting GmbH, he worked as country manager of a premium Swiss furniture manufacturer. In addition to the overall responsibility of the national company, his responsibilities included the development and implementation of the growth strategy as well as change management and personnel development agendas. Marcus Christopher Schulz graduated from the European Business School in Vienna after completing a technical education at the higher technical college for communications engineering and electronics in Innsbruck.